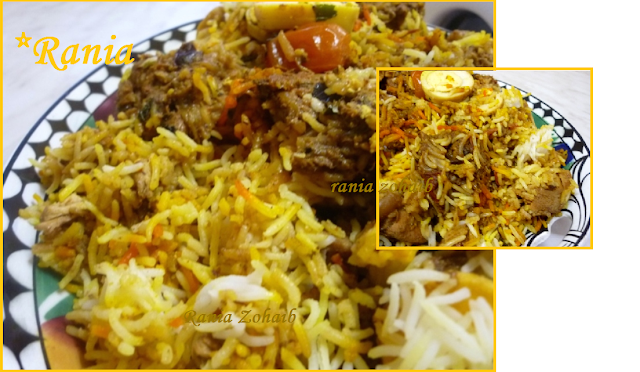 For Biryani we should take more quantity of spices because it has to be layered with rice. To get that masaladaar look and taste we need a good amount of yoghurt, onion and tomatoes too. Rub in the lemon juice and GG paste evenly and thoroughly all over the chicken, with lemon it stays firm and does not break while stirring and also gets that yummy sour taste. Let them cool down before adding them all to the yoghurt! try not to hit the meat with ur spoon and just keep turning and twisting from sides only this way your meat will stay in blocks and firm and that’s the beauty of the biryani! the yoghurt will leave lots of water so will the tomatoes, and it will start getting thick and it might also start getting to stick on the bottom of the pot because of almonds and till, coz they make a thick gravy .. I made three layers repeating the same process the top most must be with rice and only some rest gravy of the chicken! 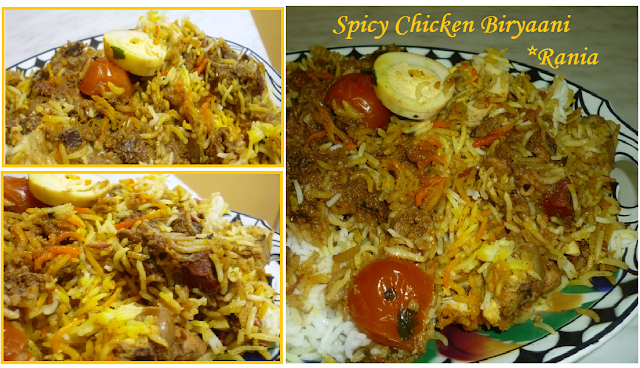 Your Biryani is ready ….. I don’t use fried onion in layers or the top as it turns out very soggy and at times give a bitter taste but according to your own taste you can add if you like ..